In mid-May I posted a Spring Cleaning Challenge inviting readers to process a pile of unwanted clutter. I was inspired by my own cleaning project and I wanted to commemorate 2 years of blog postings. 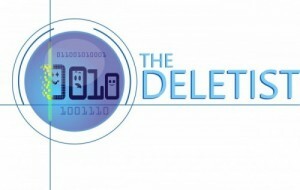 The winner of the Spring Cleaning Challenge deleted 31,116 emails from her collection of email accounts. Wow! I was equally impressed with her responses to the contest entry questions. What was your Spring Cleaning Challenge? Deleting old emails. I’ve never deleted any as long as I’ve had these email addresses!! How long had you been procrastinating on cleaning up this area? At least 6 years, maybe as long as 10!!! Why were you procrastinating? It didn’t seem necessary and I’m a notorious procrastinator. On a scale of 1 – 10, how annoyed/stressed/guilty, etc. did you feel before? 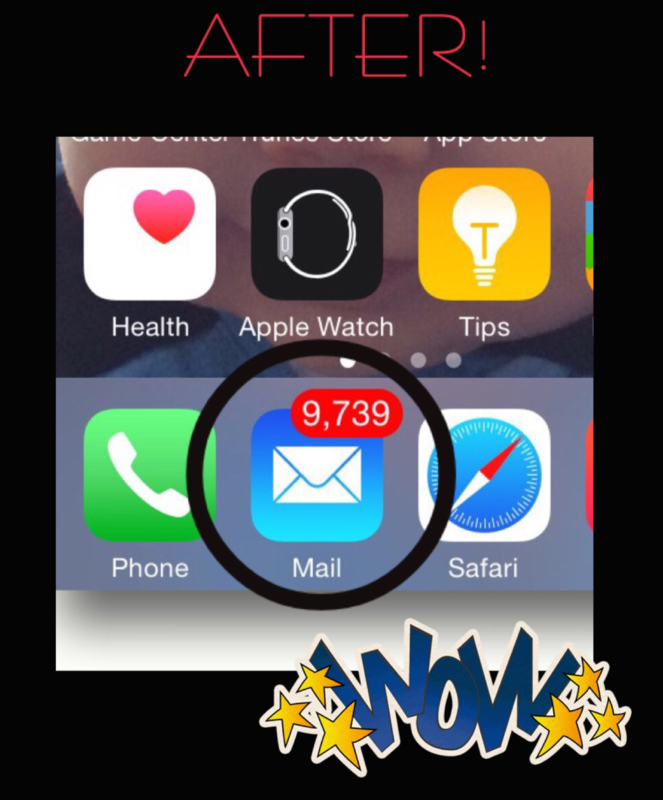 I wasn’t stressed or guilty until I got an iPhone and saw that there were 40Thousand emails sitting there!!! When I did see it, about a 6. On a scale of 1 – 10, how relieved did you feel after? 6 or 7. Much lighter!!! ***Bonus question: were you able accomplish another action based on the results of the Spring Cleaning? If yes, please elaborate. I can now find emails I WANT to keep more easily. No more scrolling through a thousand updates and promotions to find what I need! Yay!! Question 4 reminds me of how easy it is to accumulate electronic clutter because we never realize how much space it takes up. As the winner points out, she felt neither stressed nor guilty about it until she saw the actual number of unread emails on her iPhone app. Screencap of the winner’s phone before the big purge. Another highlight for me is the added bonus of being able to find things more easily because there is less to search through. Similar to the winner, I also find it much easier to find what I need when I have less to scroll through. By practicing “strategic saving” and only retaining that which brings me value, I usually have instant success when searching for emails. Another important part of the strategy is to delete promotionals and junk right away, or unsubscribe, before it accumulates. 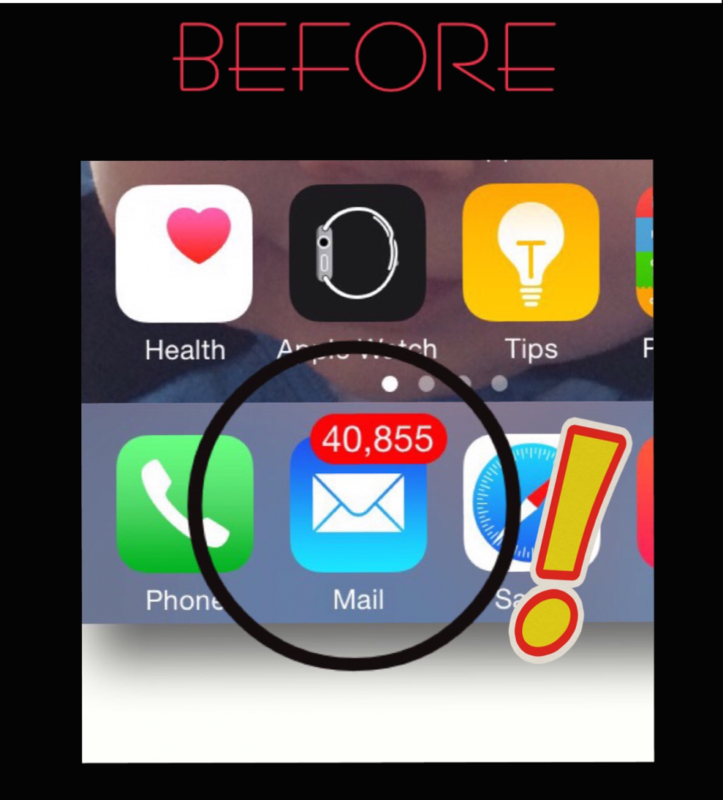 I even feel a bit relieved looking at the after picture thinking that this person has 30,000 less emails to deal with. Whew! Screencap of the winner’s phone after the big purge. An inspiration to delete strategically. Good job.